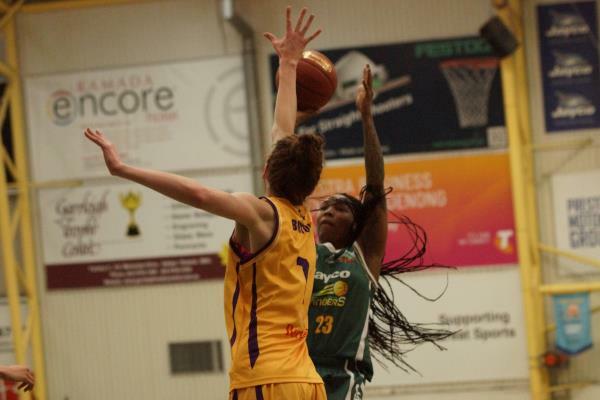 IT TOOK blood, sweat but thankfully no tears for the Dandenong Rangers to put a diabolic WNBL off-season behind them. The Rangers’ horror run into the season – losing star recruit Liz Cambage and WNBA champion Monica Wright before a ball was even tipped – was put to rest following a clinical 73-51 Round 1 victory over Melbourne Boomers on Saturday afternoon. 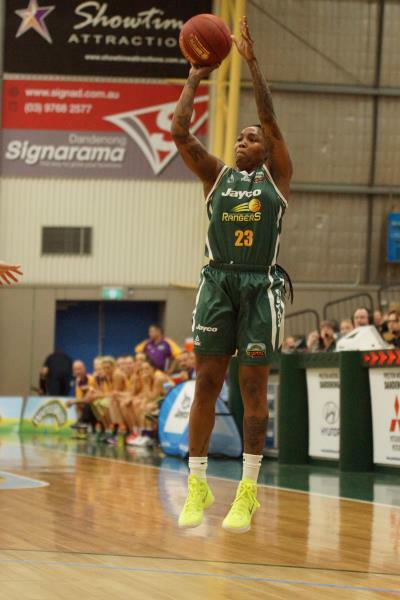 Cleaner shooting pushed the Rangers ahead – with a 44 per cent conversion standing well above the 29 per cent the Boomers mustered under heavy pressure from Dandenong’s defence. The ABC cameras captured Dandenong figuring out as it went how to play as a team – with a vastly changed roster from last season taking the court for 2014/15. At the top of the roster, Olympic gold medallist Cappie Pondexter (20 points, 6 rebounds) was scintillating from her first shot – a long-range two-pointer in front of the Rangers’ bench that raised everyone to their feet. Even with a two-month hiatus between her WNBA duties and only arriving in Australia on Wednesday, Pondexter proved a handful for Melbourne’s man-on-man defender Tess Madgen to guard, even when forced wide. Pondexter wasn’t the only fresh face for this season’s WNBL campaign as Dandenong’s starting five beared no resemblance to last year’s team. US import Annalise Pickrel (19 points, 6 rebounds) returning WNBL champion Kathleen Macleod (13 points, 4 assists) and Tegan Cunningham (12 points, 10 rebounds) took on the challenge and guided Dandenong to the 22-point triumph. 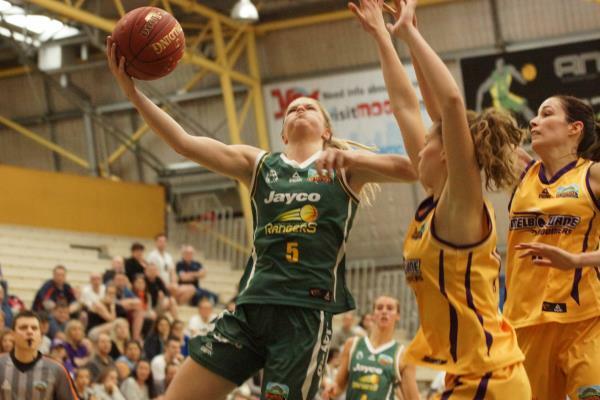 Lauren Scherf was another fresh face in the starting line-up and earned her stripes with an impressive debut starting performance – reeling in 12 rebounds to keep Boomers’ talls Natalie Burton and Olivia Thompson on the back foot. “I didn’t know what to expect,” Dandenong coach Mark Wright said. Wright said the side is constantly improving as the Rangers develop those linkages and understanding that will come for the power-packed roster as they learn to sync up. “Things keep changing – morphing into something else. I wasn’t sure what would happen here today… we’ve to go away and say ‘ok, we’re on the right track’ and moving forward,” Wright said. Most importantly for Wright, the win unburdens the playing group – who had felt the strain of an interrupted off-season campaign just as much as he did. Dandenong will regain Australian Opals representative Alice Kunek from off-season shoulder surgery for next week to add extra firepower to the mix. The Rangers sits atop the WNBL ladder after Round 1 and faces Adelaide on Thursday night before returning home to face off against Sydney Uni on Saturday from 6.30pm.